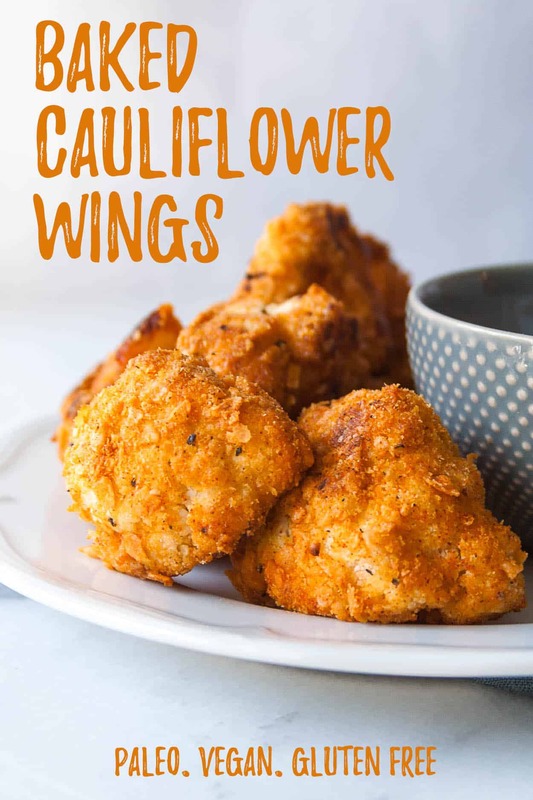 These baked cauliflower wings are the perfect way to satisfy your wing cravings! 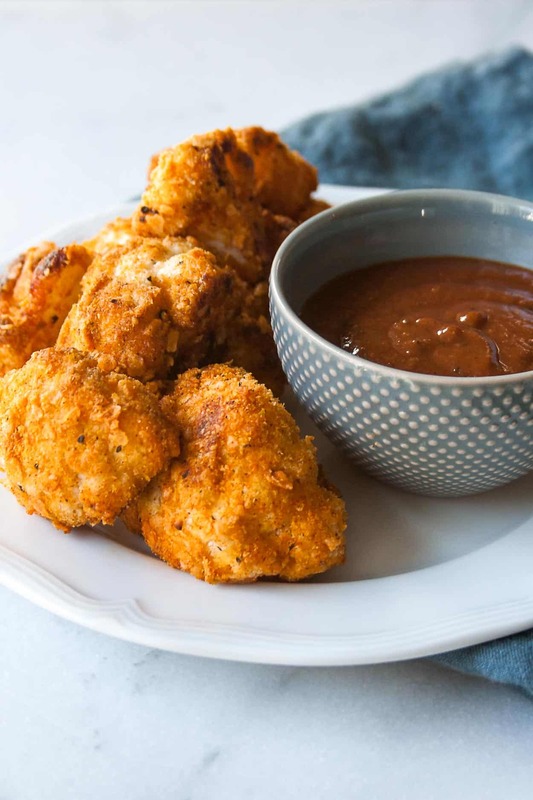 Perfect for game night, a simple side, or weekend snack – these are paleo, vegan, and gluten free too! This post is sponsored by Plant Snacks. As always, all opinions are my own – but just so you know, I seriously LOVE Plant Snack’s products and mission. Thank you for supporting Hungry by Nature and the brands that make it possible! Spring, WHERE ARE YOU?! It snowed this week. It snowed on Monday – the heavy, wet snow that makes me wanna curl up under a blanket and never leave the house. And I don’t what Mother Nature is up to; but I think she’s had one too many drinks. But I don’t want to talk about the weather because that’s what people talk about when there’s nothing else to talk about. And friends, we’ve got something to talk about!! 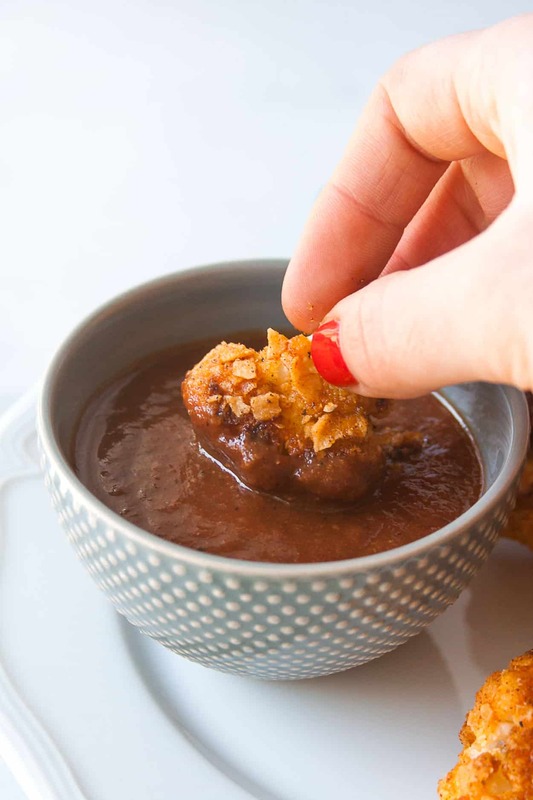 If you’re surprised to see me posting a vegan recipe here on Hungry by Nature, then you’re not alone. It’s no secret that I am not a vegan. I love meat, and eggs, and most animal products. BUT, I do love being creative and experimenting with recipes in the kitchen! Sometimes that means I will share a vegetarian/plant based recipe, or a raw recipe, and today we’re going vegan with Plant Snacks! 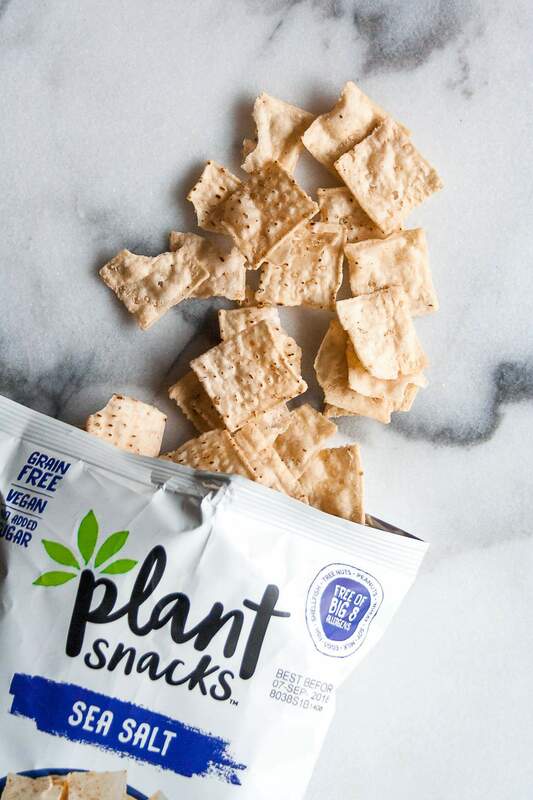 My favorite thing about Plant Snacks’ cassava root chips is that they are not only vegan, but free of the Big 8 Allergens (YES!) – that means literally EV.ERY.ONE. can enjoy them 🙂 And they achieve this because their main ingredient is cassava flour. I was first introduced to cassava flour after doing my first Whole30, while I was avoiding grains. I’ve talked a little bit about cassava flour before; but it is a gluten and grain-free wheat flour alternative that’s made by grating and drying the fibrous cassava root (yuca). Plus, the ingredient list is super clean and simple! 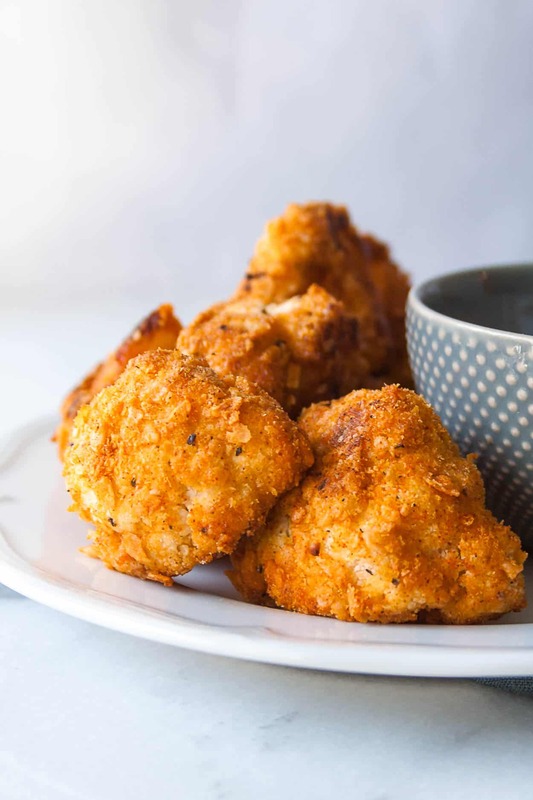 Cassava flour is the main ingredient in Plant Snacks’ cassava root chips, and the Sea Salt cassava root chips are the main ingredient in these baked cauliflower wings. So let’s bake! All you need to do is chop up a head of cauliflower into florets and place in a bowl. Add in the vegan mayonnaise and mix until the florets are evenly coated. To make the breading, smash up Plant Snacks’ Sea Salt cassava root chips using a food processor or blender (or your hands!) and add in a few other ingredients and spices. Then you coat the florets with the breading, give them a little spritz of olive oil and bake! 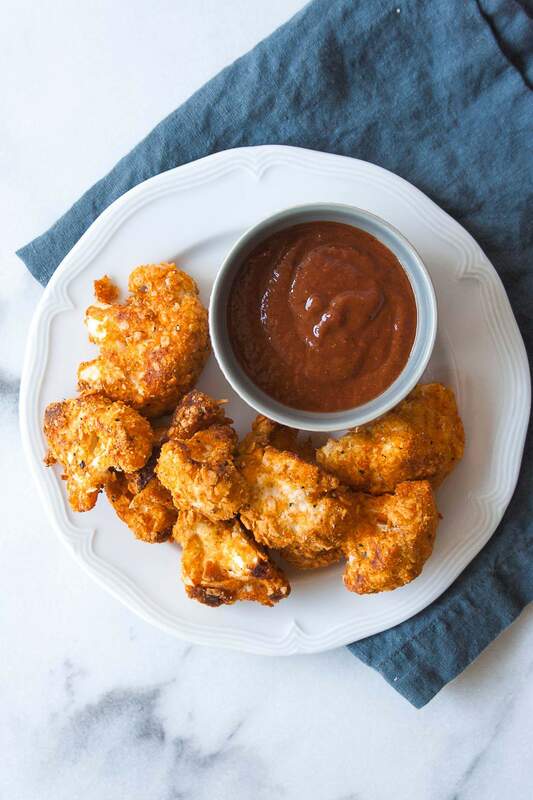 When you make these VEGAN Baked Cauliflower Wings, post a picture on social media and use the hashtag #imhungrybynature and tag @PlantSnacks for a chance to be featured! Place cauliflower florets in a bowl and toss with mayonnaise. Using a food processor or blender, process Plant Snacks’ cassava root chips until they become a flour consistency. Two cups of chips should yield about 1/2 cup flour. In a small bowl combine Plant Snacks flour, nutritional yeast flakes, onion powder, garlic powder, and smoked paprika. Mix well. Dip cauliflower florets in breading and place on baking sheet, repeat until all florets are coated. Spritz with olive oil spray. Bake for 30 minutes turning halfway. 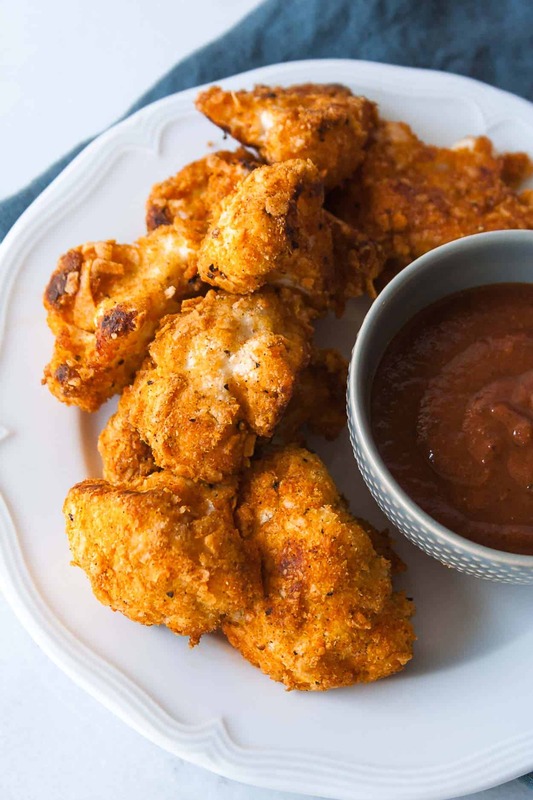 Delicious served with ketchup or barbecue sauce.